Washington State University football coach Mike Leach's team rules have been well-documented: Don't do drugs, don't steal and don't abuse women, or else players will be dismissed. And in October 2017, when freshman Zaire Webb and teammate Anthony White were accused by police of stealing from a Walmart in October, Leach kicked them off the team the next day. "Our team rules are repeated regularly within the football program and there is no uncertainty where we stand in regard to upholding them," wrote Leach in a letter during Webb's appeal process, before he listed the team's rules again and wrote it is our "consistent policy to dismiss" members who violate the rules. But now, Webb, whose theft case has since been dropped, is suing Leach and Washington State University for dismissing him and not applying those rules to other players. The lawsuit, filed on March 2 in Whitman County Superior Court, points to multiple examples when players accused of more serious crimes were not immediately kicked off the team. Linebacker Logan Tago was arrested in 2016 and charged with felony robbery and misdemeanor assault. He was suspended from the team, and returned to play in the Apple Cup against the University of Washington. He later accepted a plea bargain for third-degree assault and he spent 30 days in jail and performed 240 hours of community service, for which he was honored with an award by the university. He remains with the team. "Mr. Leach stated that it is a team rule to dismiss any individual that steals," the lawsuit says. "However, such a statement was and is false." The lawsuit then challenges Leach's assertion that players who hit women are dismissed from the team. It points to a 2014 incident where starting cornerback Daquan Brown allegedly punched a man and a woman in the face, with the woman sustaining a concussion, two loose teeth and nose bleeds in the days after the punch, the lawsuit says. He pleaded guilty to assault, and he returned to the team for the 2014 season, though he was finally dismissed at the end of 2014. The lawsuit says that in November of 2017, defensive back Grant Porter was arrested for domestic violence after his girlfriend reported Porter assaulted her the night before, describing how Porter pushed her into a dog kennel, choked her and threatened to kill her. Porter was suspended, not dismissed, and is still listed as a member of the 2018 roster, according to the complaint. The WSU athletic department says it can't comment on pending litigation. Michael Bissell, a Spokane attorney representing Webb in the case, tells the Inlander he has "nothing to add" other than what was written in the lawsuit already. The suit also names members of WSU's appeals committee that upheld Webb's dismissal and loss of financial aid: senior financial aid officer Andrew Lehr, dean of students Karen Fischer and assistant director of admissions Kelly Myott-Baker. 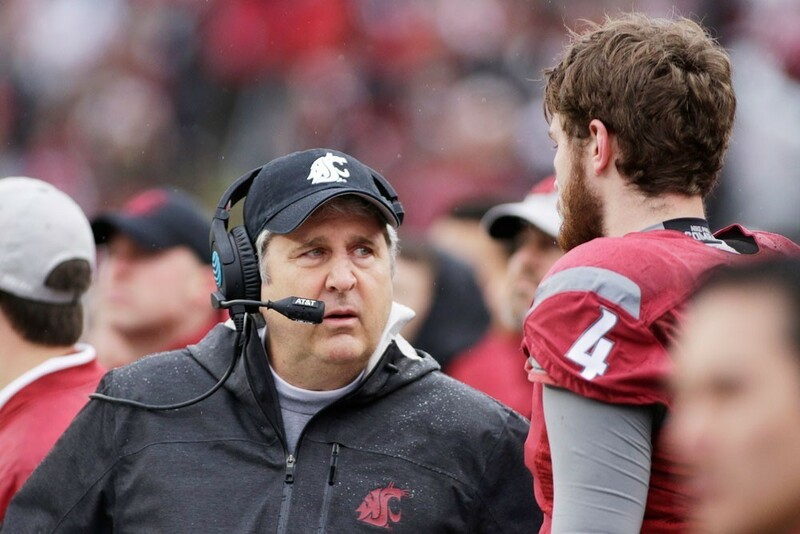 It cites WSU's decision to give Leach a contract extension in the midst of budget cuts as evidence of the university's willingness to follow Leach's inconsistent rules. "WSU was and is committed to providing Mr. Leach with whatever he desires, even if it means WSU policies and procedures are not followed in the case of student-athletes such as Mr. Webb," the complaint says.